While striking off may be an option for those companies with relatively little in the way of assets, for those with more significant sums of money to distribute there is a better option. 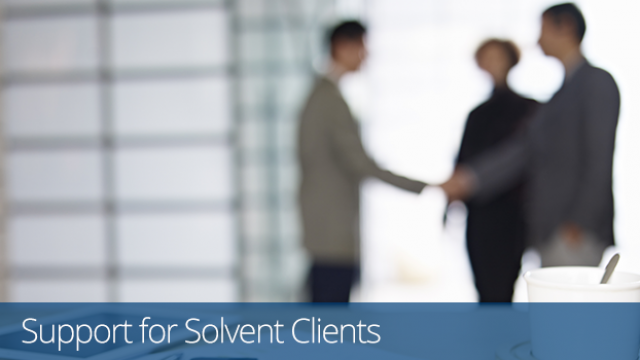 Closing a solvent business through a Members’ Voluntary Liquidation (MVL) allows for assets and cash to be extracted from the company in the most cost-effective manner. An MVL opens up the opportunity for your client to take advantage of Entrepreneurs’ Relief, which, should they qualify for the scheme, could represent a potentially huge saving thanks to reduced liability for Capital Gains Tax. An MVL can only be entered into under the guidance of a licensed insolvency practitioner. Handpicked Accountants are part of Begbies Traynor Group, the UK’s largest business recovery firm, and with almost 70 licensed insolvency practitioners operating across 50 offices up and down the country we are able to offer the highest level of expertise to help you help your solvent clients consider their closure options. Working alongside yourself, we will determine whether an MVL is suitable and, if so, put together a plan to maximise the return for your client. We have many years’ experience working alongside accountants to provide added value to their clients. We pose no threat to your practice, in fact through the Handpicked Accountants initiative we will actively look to refer work to you when an appropriate opportunity presents itself. You can arrange a meeting with your local Begbies Traynor partner to learn more about how we can work together.